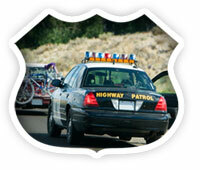 Take our first class trafficschool class online. Take online traffic school quizzes along the way. Ticket in Contra Costa County? If you get pulled over for speeding or another traffic moving violation, chances are you can take an Contra Costa online traffic school course to have the points reduced on your record AND get your traffic ticket dismissed by the court. Complete final test and we mail your certificate.